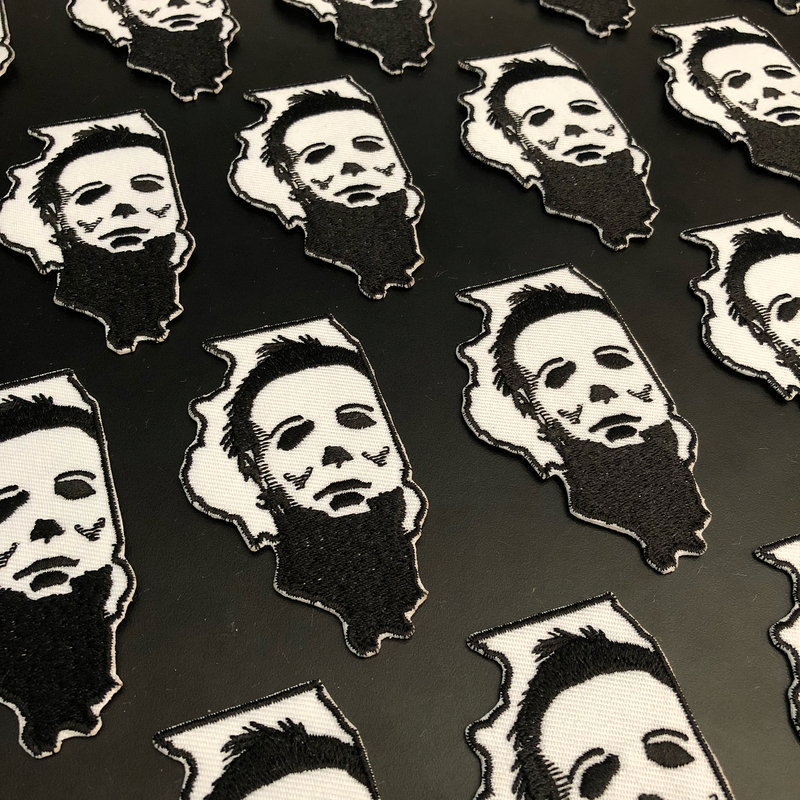 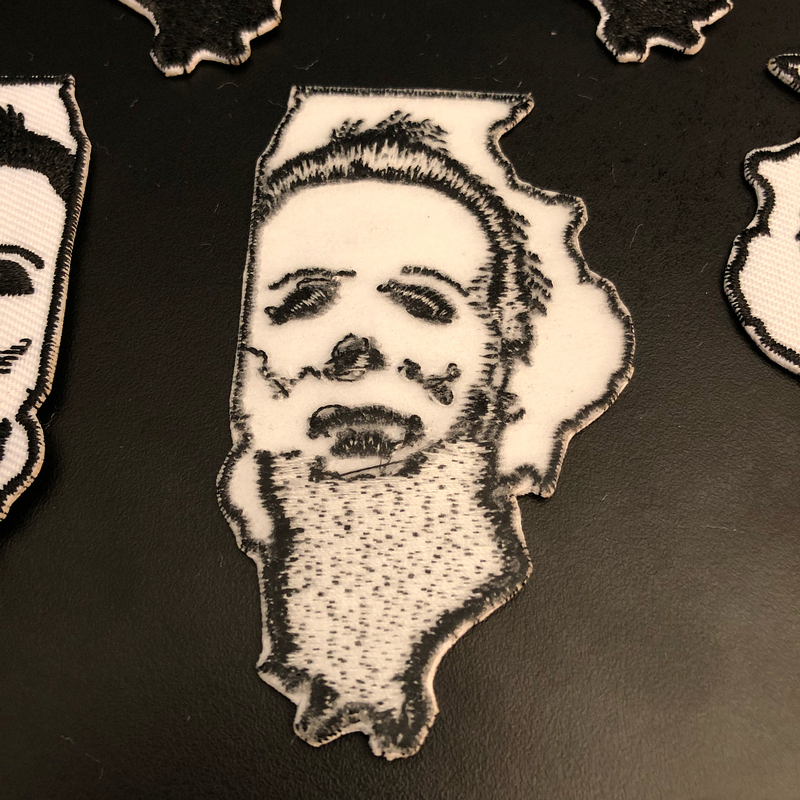 States of Horror patches are 75% thread coverage. 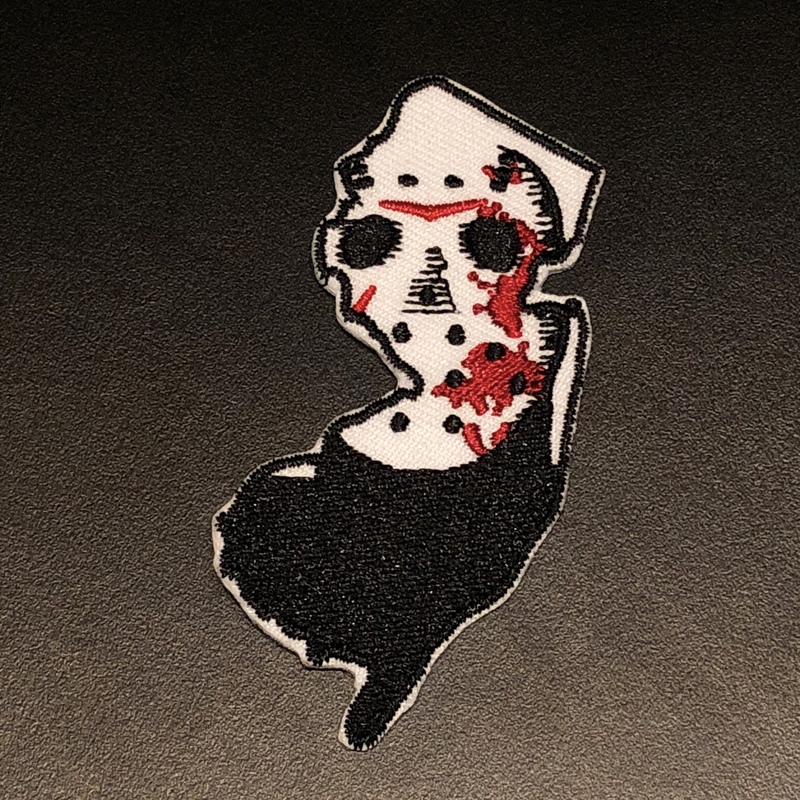 Iron on backing. 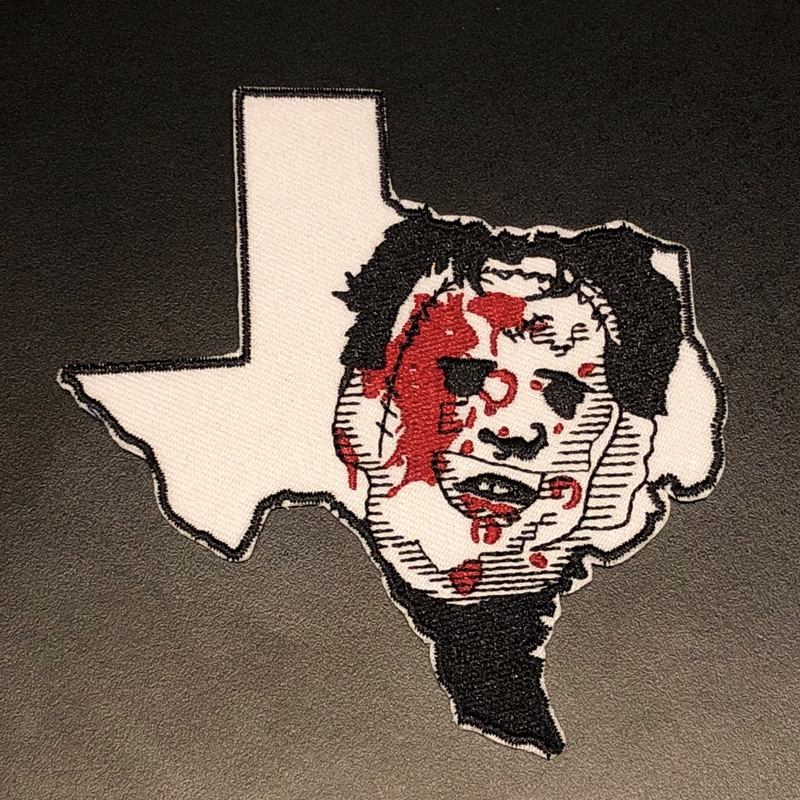 Leatherface of Texas is 4″ inches tall. 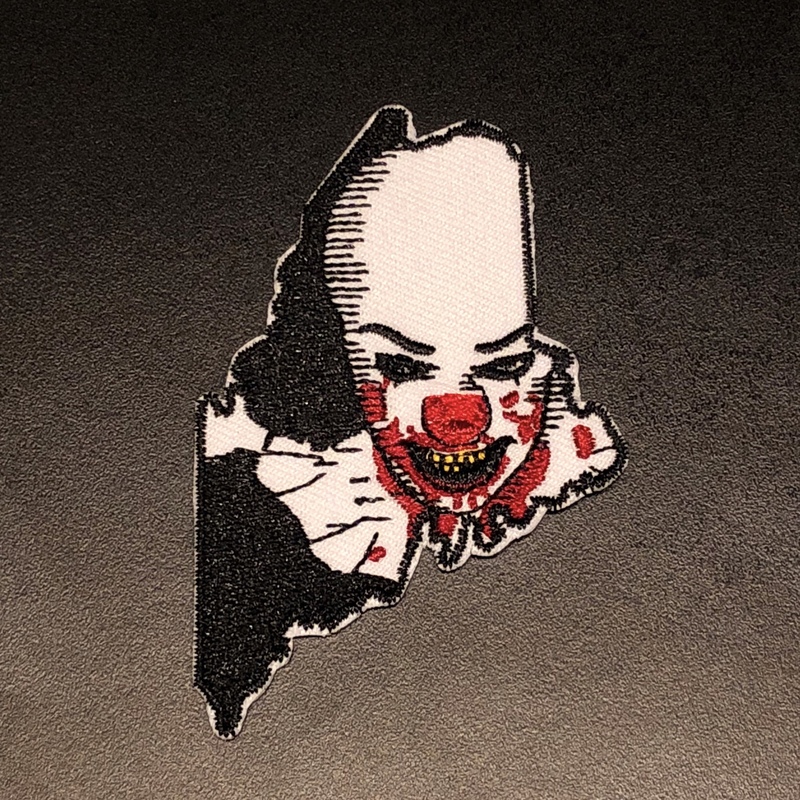 Michael of Illinois, Jason of New Jersey, and Pennywise of Maine (Tim) are each 3″ tall. 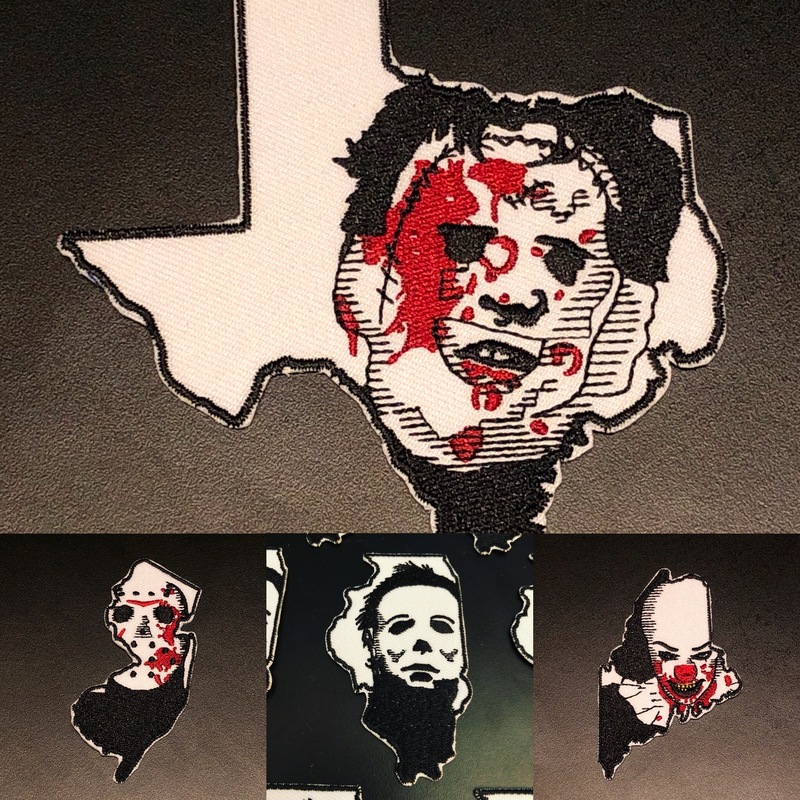 Buy three and the fourth one is free! 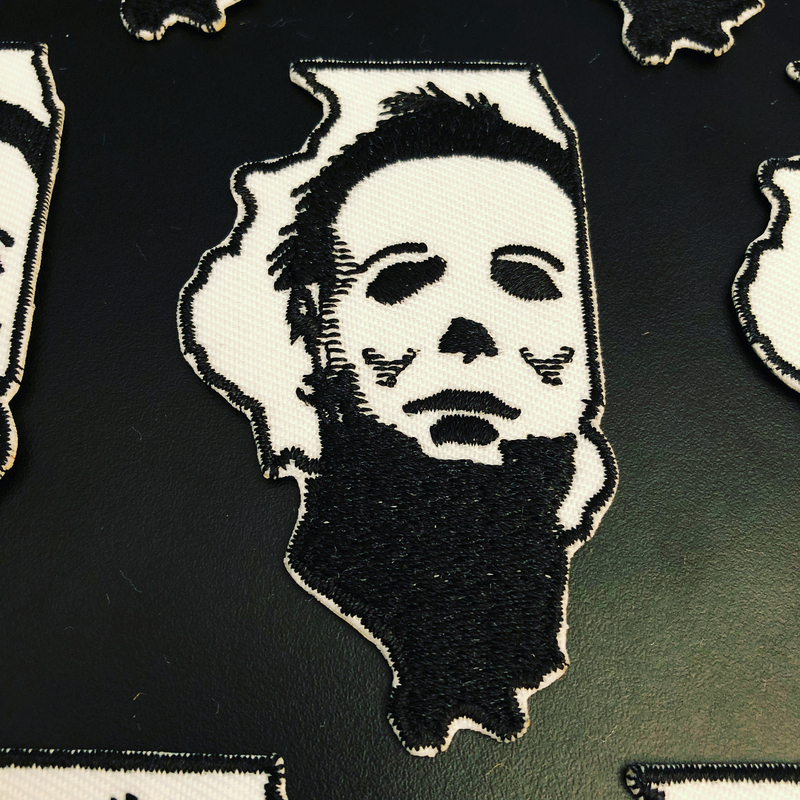 Add all four to your cart and discount will be calculated at checkout.